Most Cherry MX keyboards use the same height profile as our replacement keycap, this is sometimes referred to “OEM” profile. 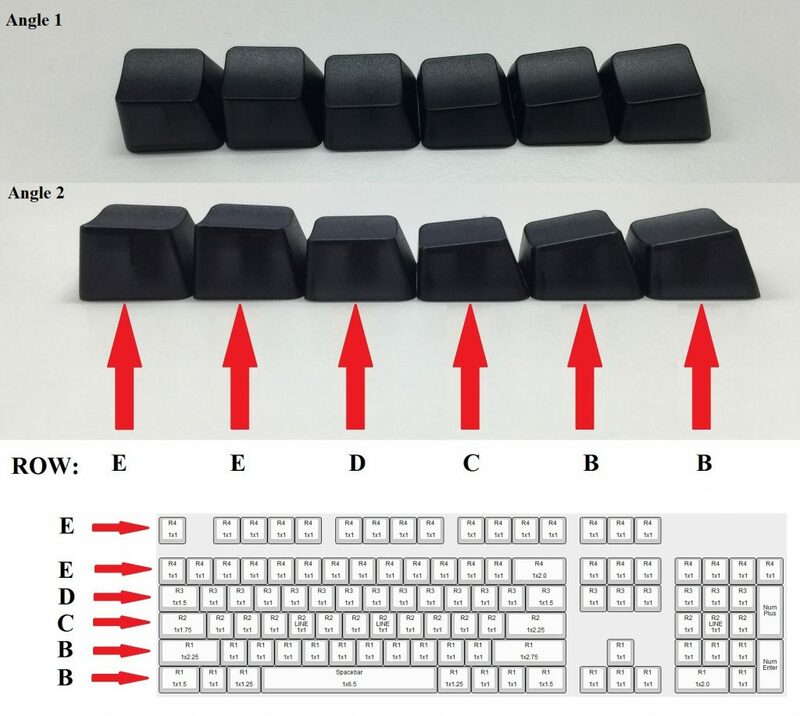 Different rows (R1-R4) on the keyboard have different height and angle slope. 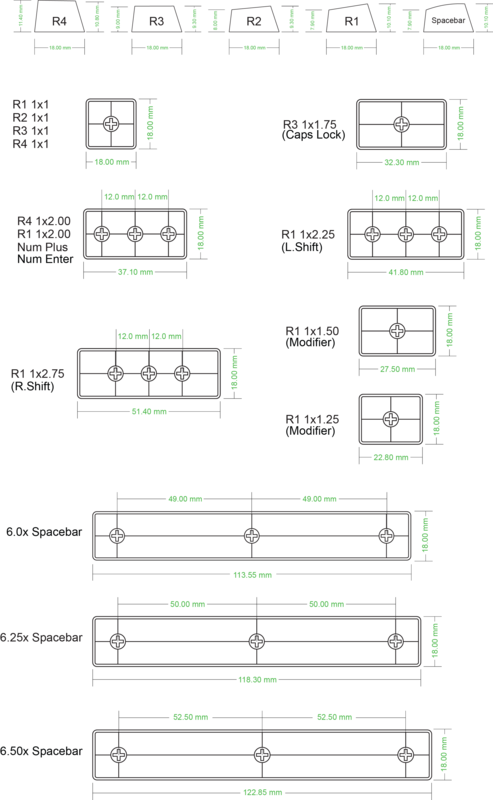 Below is the chart illustrate our keycap profile.